Kidambi Srikanth could add another golden chapter to India’s sporting history by clinching the World No. 1 ranking for the first time in his career during the All England Open, that begins on March 14. The Pullela Gopichand protégé has a chance of rising to the pinnacle of the world rankings if he can win the prestigious Birmingham tournament next Sunday. Srikanth didn’t have a good outing at the world’s oldest badminton tournament last year, falling in the first round to Zhao Junpeng of China. Srikanth, who has claimed that winning a Commonwealth or an Asian Games medal means more to him than the No. 1, had a shot at the numero uno ranking even last year after winning back-to-back titles at the Denmark Open and the French Open. But he chose to opt out of the China Open and the Hong Kong Open in favour of rest and recovery from slight injury niggles. Four months later, he can again sniff the highly coveted spot in the ranking chart after the current World No. 1 Viktor Axelsen pulled out of the All England Open due to his ankle surgery. Srikanth is currently ranked third with 75695 points behind Axelsen and Lee Chong Wei. But with last year’s All England Open points coming off this week, Lee will slide to the fifth position, pushing the Indian up to the second spot. Since Srikanth’s meagre points from the 2017 All England Open did not contribute to his ranking, his total points tally will continue to be 75695 in the new rankings to be released on March 15. Axelsen reached the quarter-finals of this tournament last year and will lose the 6050 points that he earned, making his total points 77130. That will put Srikanth just 1435 points behind him. Under the revamped system, the All England Open is one of the three Super 1000 events and has a whopping 12000 points on offer for the winner. A win will thus guarantee him the No. 1 spot. Since the quarter-finals give 6600 points, even reaching the last-eight stage can be enough for the Indian to dethrone the Dane, provided the likes of Lee Chong Wei, Chen Long and Son Wan Ho lose early. If Srikanth can achieve it, he will join the legendary Prakash Padukobe as the second male shuttler from India to climb to the top of the world. The India No. 1 has been seeded third at the All England Open this time and he starts off his campaign against the 23rd ranked Brice Leverdez of France on Wednesday. A lot is at stake for Srikanth and Indian badminton. 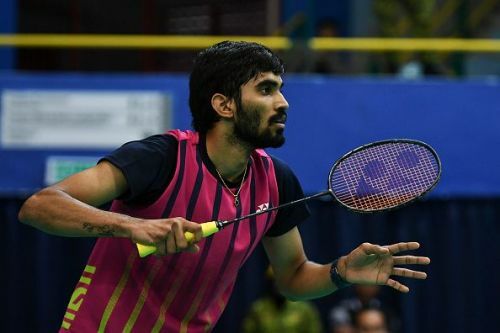 It is imperative that he remains focused on the job and doesn’t think about the outcome for a focused Srikanth can do wonders, like we have seen last year.